Some years ago I had a call from a gentleman in Holland; he was interested in hearing a pair of Max Townshend's Glastonbury speakers and as he was due to visit relatives in England in a day or so, could he call in and have an audition? I was naturally delighted to offer our hospitality and next morning I started to set up a system for him to listen to when he arrived. At that time we had not had the speakers for very long as they were then still quite new to the market. We were very impressed with their performance, although up till then we had used only modest equipment to drive them. So with the forthcoming audition I decided to go overboard to impress the customer, wheeling out our Marantz CD12, Musical Fidelity pre-amp and P270 power amp, and wired up with our most expensive Van Den Hul cables. I switched on in anticipation of hearing what I imagined would be heavenly bliss. It sounded simply awful!!! I frantically checked all I could think of, made this adjustment and that, all to little avail. So that afternoon I changed round all the components, one at a time, except the speakers. In the event, they all had to go if the sound was to come right, which eventually it did in all its glory. Over the months and years that followed, I have been fascinated by the problems of incompatibility between products and the need to obtain the correct "loading" in the system, so that an optimum match is achieved between amplifier and loudspeaker. I shall cover these matters and the work I have done in connection with them in another article at a later date. The reason I mention all these earlier experiences is that they prepared me for the beginning of a long journey on which I am still travelling - namely, to determine the means by which it is possible to recreate on playback a quality of reproduction which, as nearly as possible, reproduces in the listening room the original performance that was recorded (given the sometimes limited quality of the recording itself). I hope that this and subsequent articles will provoke interest in what I regard as fundamental problems in the hi-fi industry and why it has been failing its customers - the public. The issues raised above, which I shall be discussing more fully in later articles under Hi-Fi Advice – Blueprint for the Future, have had an enormous impact on our business. Not only did they govern the way we looked after our customers when our business was largely retail, they also provided the impetus we needed to devote more time and resources to research work and to the design, manufacture and marketing of our own products. This impetus stemmed primarily from our frustration in retail when we found that not all the components needed for the standard of reproduction we were seeking for our customers were available. In designing each product, we have inevitably drawn on our experience in retail and the special insights that have been gained in recent years by myself and my colleagues in the way components work and in the way the signal is handled by those components. In particular, we have concentrated on how electrical and mechanical vibrations at the front-end of the system, where the signal on playback is first generated, affect the phase of the signal that is heard as sound from the speakers. As a result, each product is somewhat unique in the way it tackles problems of reproduction. RINGMAT was the first of these products to be widely marketed and is the standard to which all our products will, in future, adhere. Because of this, I shall explain the function of RINGMAT, its importance in helping to reproduce a clear signal and, more importantly, an accurate signal, and how it was developed; and later, how it evolved into an even better product. 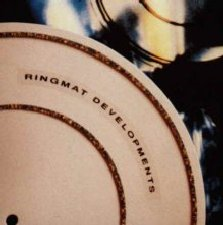 RINGMAT was a joint development between Denis Morecroft of DNM Design and myself, representing QR Design, the design arm of our business. 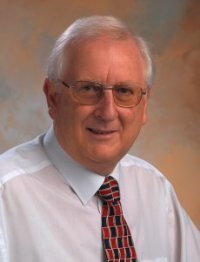 The basic idea was initially Denis Morecroft ‘s, and I became involved at a stage when I had already done much of the research work mentioned earlier in this article, some of which I had discussed with Denis. The collaboration was also brought about by the fact that, when in retail, we stocked the DNM amplifiers and solid core cable, and had jointly held some "musical evenings" for our customers; and we both lived and worked in the Brentwood area. Denis was developing a DNM turntable to be called the "Rota", which was to be marketed with the amps, cabling and the French made Rehdeko speakers that were distributed alongside the DNM products, making a complete vinyl system. For the new turntable to be an advance on what was already on the market, it had to deal more effectively with those adverse influences that usually inhibited the reproduction of a clear signal. As readers will be aware, there are many approaches to turntable design, but in general they fall into two schools of thought. Each endeavours to overcome the vibration problems caused by unwanted energy from both the tracing stylus and the sound pressure waves in the room, as well as any inbuilt vibrations from the working of the turntable itself. The unwanted energy causes the stylus to move in a way that is unrelated to the original signal and the accuracy of reproduction is reduced accordingly. One approach towards overcoming this problem is to try to simulate the conditions under which the record was originally cut by clamping the record to a solid, heavy surface which will hold it still, prevent any movement and therefore allow so-called "perfect" reproduction of the information in the record grooves. Another method is to allow movement to occur but to arrange it so that it is as inaudible as possible. The first of these two methods is not ideal because it is impossible to exclude all vibrational energy in any material; in practice, the energy will always be changed in form or reflected back into the system from which it originated. The second method is more practical, but hitherto it had not been properly designed in a "total system" approach. Denis wanted to make a turntable that was quite different, as is always the case with him, by incorporating many innovative ideas, the most outstanding and recurring feature being the decoupling of certain elements in a way that enabled the stylus to track the record as free from inbuilt and room resonance's as possible. As the interface between the vinyl record and the platter would naturally play a crucial part in this overall concept, one of the first design initiatives was to find a new way to support the record on the platter. Denis believed that none of the previous approaches to this problem had satisfactorily resolved the matter and was looking at new ways of solving the puzzle. He conceived that the record must be supported in a manner that allowed movement but, as far as possible, such movement had to be outside the audio band. Any movement that occurs should be as free as possible from structural resonance's within the record itself or anything attached to it, including the surface on which the record lay e.g. its support mat. The record support mat must generate the minimum noise whilst absorbing the movement and dissipating the unwanted energy. Essentially, there was to be minimal contact with the underside of the record and as much air as possible between the playing surface of the underside of the record and any structure designed to support the record on the platter. Using his then resident Linn LP12, Denis showed me what happened if, for example, the record was supported only at the centre (under the area of the label) by a thick mat of soft felt. I was immediately struck by the increased clarity, openness and fullness of the sound. However, I was concerned with the way the record "flapped" a bit because of the softness of the felt, and in any case, I was not a lover of felt mats because of the noise they generated through friction under the record. I said I had a few ideas we could try and would experiment back at our own premises. My first decision was to find a replacement for the felt. I knew Mike Knowles at Alphason had taken a great deal of care in developing the surface they used for the platter of the Sonata turntable, where the record rested directly on the platter. As it was not practicable to use his materials, I went for what I considered was the nearest equivalent - cork. I also liked this material because of its properties in relation to aspects such as static. Many types of cork were tried and all were found to be far superior to the felt. It was also found that significant variations arose according to the size and shape of the cork used and its placement under the record, and that, by restricting the contact area, considerable improvements in sound quality were obtained. This led to the development of the cork rings. However, we were achieving different results from the various types of cork and found that one type was best for contact with the record itself whereas another was better on contact with the platter underneath. I then decided it was time to experiment by building into the structure a degree of movement, such as we earlier had with the felt, only more controlled. This eventually led to the development of rings on a substrate but we were having difficulty in finding something suitable for the substrate that provided the right speed of movement and control. Eventually we found a paper that incorporated cotton and cotton flock, which provided just the right degree of movement, as well as minimising resonance. The structure also had plenty of air between the underside of the LP and the substrate and between the substrate and the platter. The significance of this was that the enormous energy generated by the stylus as it tracked the groove of the record could readily be dumped into the air above and below the substrate. With hard mats like rubber, and with bare platters such as acrylic and glass, and even with the special textured surfaces like the Alphason, this energy is reflected up the cantilever and comes out of the speakers as distortion. The effect is similar with felt mats, though to a lesser extent because there is some "give", but there is the added problem, to which I have already referred, of noise caused by friction between the mat and the record. At each stage, both Denis and I were carefully evaluating the progress made by means of listening tests. Also, Denis was meanwhile obtaining computer printouts of resonances of a standard 12" record and from this data we placed cork rings at the various significant points during the listening tests. It soon became obvious where the main support ring should be placed for the primary support of the record - in the middle of its mass. Thus we arrived at a construction whereby the record had minimal contact with its support mat. It rested on a main ring under the centre of its mass and, via the special paper substrate, this main ring moved between two rings on the underside. The mat also provided a good impedance match for transferring unwanted vibration energy into its own structure and effectively dissipating it into the air underneath the record and its support mat. The minimal contact with both record and platter surface also meant that very little noise was created underneath the record by reason of contact movement. To improve the resonant properties of the mat and its impedance matching, the mat also benefited from a second ring placed nearer the centre, which we found had to go on top of the substrate, though we would have preferred some support below it; this aspect featured as a further development of the mat in a later model. We affixed the logo, and RINGMAT 330 was born in the late Autumn of 1992, after some 18 months of joint development work. 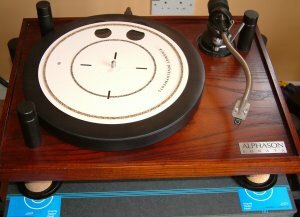 The attractiveness of the product was that it could also be used on almost any turntable with equally beneficial results, irrespective as to whether the turntable was inexpensive or in the super league, or whether it was of high or low mass, or whether or not it had a suspended sub-chassis. For obvious reasons, it could not be used on those platters using suction devices, or those that had a significant "dishing" effect. Those that had felt or some other substance stuck to the surface of the platter generally needed to have it removed in order to obtain the best results. I was, however, concerned that some of the less expensive turntables that had fixed height tonearms may have difficulty in coping with the thickness of the mat at around 3mm, so RINGMAT models 200 and 250 were created with thinner paper and, in the case of the 200, with the top rings having a lower profile to reduce the overall thickness of those mats; model 250 lifted the record about 2.4mm off the platter and model 200 about 1.8mm. However, the thinner paper was not quite as ideal as that used for the 330, so although the difference in performance was small, the 330 definitely had an edge. How would one describe RINGMAT? Well, it is a unique (patented) design, which enables 12" records to be supported so that the main vibrational modes of record movement - caused by input of stylus energy - give the minimum possible error signal. It can also be used with vinyl records of other diameters with some success and works extremely well with 78s. I believe it is the first time that such a component has been properly designed. Its use has also eliminated or reduced many of the problems associated with record reproduction, many of which have, in the past, often been wrongly blamed on other parts of the hi-fi system, especially the speakers. With RINGMAT, there is a reduction in background noise, with a cleaner, crisper and yet more delicate sound. It brings greater resolution and separation to the sound, together with a wider and deeper soundstage; there is an enhanced sense of power, with greater weight and authority in the bass. Some of these attributes may be difficult to realise in practice. There are numerous reasons for this, which are related to problems elsewhere in the hi-fi system; some of these will be discussed in future articles. See Hi-Fi Advice – Blueprint for the Future. In the Autumn of 1994, a MkII version of the 330 was launched which contained that inner ring under the substrate that we had previously found so difficult to place. The newer version also used a slightly different mix of the paper constituents and contained a small plastic sticker near the spindle hole; how we came by this is an interesting tale. I accidentally tore the paper of one of the RINGMAT 330s I was using for development work, but rather than throw it away I put a piece of Sellotape over the tear and put the 330 to one side. Some weeks later, after significant improvements towards the new MkII version, I went back to the torn 330 to use as a benchmark - I was both astounded and puzzled that in certain aspects it was better than anything I had developed thus far and could not at that time work out why. I checked this and that, and was nearly tearing my hair out when it occurred to me that the piece of Sellotape was having a significant effect. Indeed it was, as simulated stickers of various shapes and sizes placed in various positions testified. It became clear that, whilst the logo was having a beneficial effect on the resonance of the mat itself and its impedance matching, it needed to be "balanced" and the sticker, as now used, does just that. Also, for some time, I had been concerned that with most records the area around the label was of a greater thickness than over the record as a whole and I felt this may not have been taken sufficiently into account in the computer analysis we did. I was also interested in the effect that very small variations in the width and spacing of the rings had on the sound and after long periods of experimentation and evaluation I finally settled on a formula that gave a significant and worthwhile improvement in the sound, mainly in the way the stylus was now able to track the groove with even greater security, enabling not only the bass but all frequencies to drop lower and much nearer to their natural level, thus enabling the system to obtain a much greater degree of drive and power to the sound. Another benefit of the slightly wider top ring we adopted was that the inner top ring could now be reduced in profile. All these improvements were incorporated in the new RINGMAT 330 MkII XLR launched in the Spring of 1996. 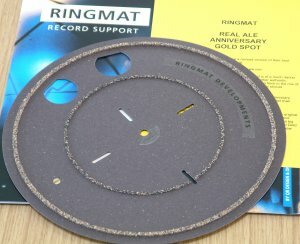 In the Autumn of 2001 we celebrated 10 years of Ringmat design with the introduction of the first new Ringmat since the XLR in 1996, the Anniversary Ringmat. This new Ringmat had certain of the anti-resonance cut-outs to be found in the Ringmat Spacers and an improvement in the operation of the rings through the use of a different type of adhesive between the cork rings and the paper substrate. special paper. This creates a more immediate sense of presence in the sound and a much stronger bond between the paper and the cork rings. It may now be an appropriate time the write more about the “cut-outs” in the Anniversary Ringmat and also many other Ringmat Products, such as the Ringmat Spacers, Ringmat Base Platter Mat, Ringmat CD and LP Statmats, Statfeet, and the Ringmat Vivacity Sparkle Sheet. This is because it involved a study in the use the earlier Ringmats on turntable platters that had holes to enable a manual change to be made in the turntable speed by moving the turntable belt from one drive to another using fingers through the holes on the turntable platter. In order to establish whether the holes in the platter had a detrimental effect on the use of a Ringmat, a trial was carried out. This established that the presence of such holes actually had a beneficial effect, rather than a detrimental one, even if the holes were introduced in a piece of material laid on top of a platter without the holes. Further evaluation demonstrated that the relative sizes of the holes was critical, as was the distance between them and where they were positioned relative to the mass of the platter. After a great deal of further study, we discovered a geometric model whereby the removal, and/or addition, of mass at certain critical points of a piece of rigid flat material radically improved the outcome as regards the quality of sound reproduction due to a reduction of resonance in the flat material, and that it was not restricted to situations where a turntable was involved. Not only round holes, but other shapes and sizes, but their actual sizes, shapes and positions had to be precise and any slight deviation outside a certain tolerance nullified their beneficial use. Additions to mass also include the use of adhesives and stickers. In the case of our Ringmat Vivacity Anti-Resonance Platforms, our use of both the NXT patented Distributed Mode Loudspeaker technology and our own modelling regarding the beneficial effects of a reduction and/or addition of mass to flat materials has resulted in stunning results in the field of sound reproduction, as well as the other Ringmat products mentioned above. By extension, such a reduction and/or addition to mass in order to reduce resonance probably has applications in other fields of activity, not only to the use of rigid flat materials but also other forms of material, such as sheets of material that are not necessarily used flat. Some people have asked whether RINGMAT can be used with a clamp. Whilst this may physically be possible, it is undesirable for the way it often "shuts in" the sound and changes all the parameters that are so beneficial in the RINGMAT as it stands. (Please bear in mind that the Ringmat is only one part of the Ringmat Support system – there is also the Ringcap and many other parts to complete the best support system available for an LP record). 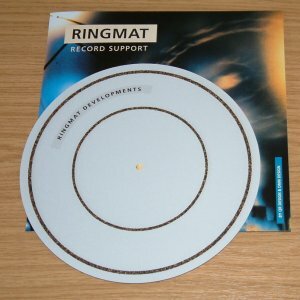 The benefit of RINGMAT is that it works with the natural resonance's that are being created and dumps them into the air, whereas clamping stresses the record, changes the nature of the resonance's and reflects them into the signal chain; as the record itself comes under stress, it acts like a bell - and what happens when a bell is struck?! !